Majestic and wild despite the development of Whistler Village resort area, ski trails, and numerous other developments, Whistler remains a natural oasis surrounded by spectacular mountains, parks, lakes and rivers. It is also teaming with wildlife, everything from black bears to deer, marmots, wild rabbits and chipmunks. 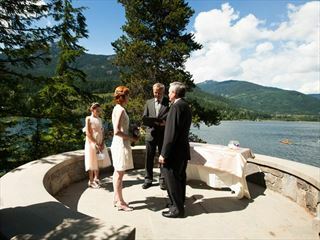 A wedding in Whistler can’t help but be a great escape from the rush of city life. 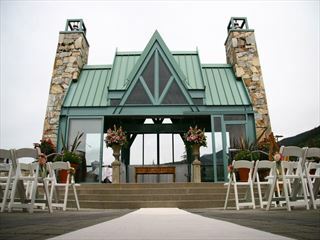 Situated in the Coastal Mountains of British Columbia Canada, Whistler is approximately 115 kn (72 miles) from Vancouver, just a little farther from Victoria and Vancouver Island. 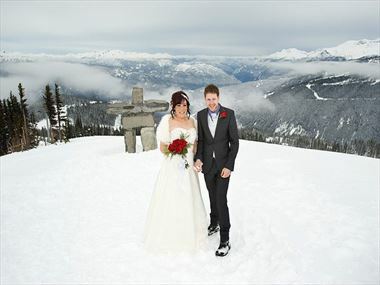 A Whistler wedding & honeymoon has much to offer anyone who loves to explore and play in the beauty of nature in one of British Columbia’s most loved resort towns. 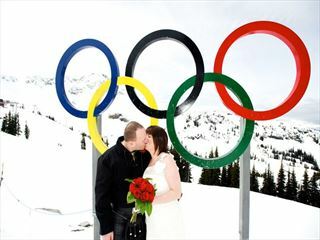 For a memorable and spectacular setting for your dream wedding, the legendary mountains of Whistler and Blackcomb are tough to beat.